Should I control the high power LED or its driver? > Should I control the high power LED or its driver? I have some older Luxeon high power LEDs and bought some drivers (spec below) to power them. They work fine for what I need. However, I am going to be controlling these using TIP120 circuits (one to one) from an Arduino and it occurs to me that I don't know if I should be controlling power flow to the driver or to the lamp itself. I'll be doing both on/off and PWM. Might sound like (and be..) a dumb question but when I stopped to think of it I wondered about which is least stressing on the hardware, delayed start and/or hysteresis. Is there a best practice or rule of thumb here? Re: Should I control the high power LED or its driver? These drivers don't necessarily react well to having their outputs switched off. 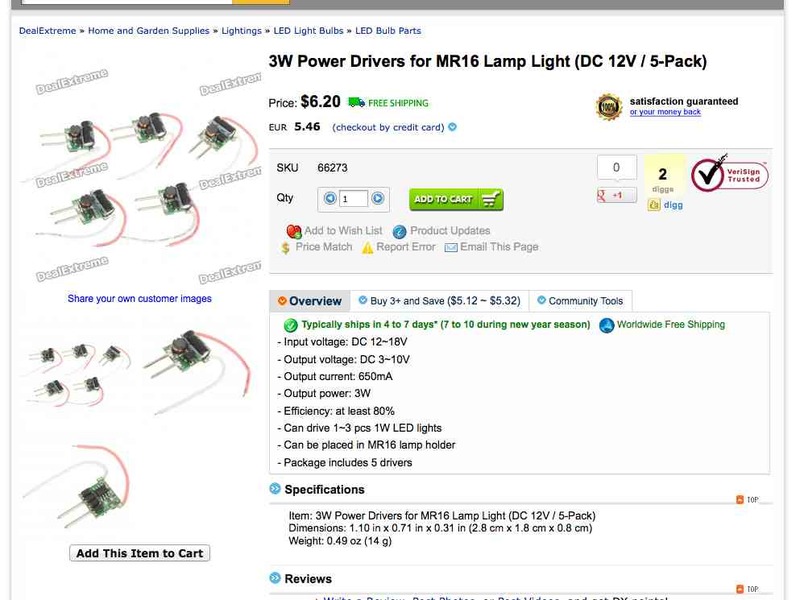 They rely on the power consumption of the LED to stabilize the circuit -- you'll notice they frequently specify the number/wattage of the LEDs they are designed for. I'd suggest digging around the DX site and reading the forum posts regarding dimming techniques for similar drivers. Good point about destabilizing the circuit - makes sense now that you point it out. I'm not suggesting switching off the driver outputs, but switching off the whole driver circuit low-side. Much easier.